A high-speed train service will be linking the cities of Malaga and Valencia directly, without having to pass through Madrid, as from next Sunday. The journey will take only four hours and must change trains in Cordoba, according to the information available on the Renfe website. Initially, the operator will be selling a one way ticket towards Valencia, leaving Malaga at 17:00h., except on Saturdays. Meanwhile, from Valencia down to the Costa del Sol capital there will also be a train departing at 08:15h., except on Sundays. The initial price in economy class will be 106.70 euros. The journey will take exactly half the time it takes the current service provided by Alaris, that takes eight hours and a half, although it is considerably cheaper (between 60.70 and 80.40 euros). This travel option will also remain available for now. The new service will stop, as well as the aforementioned one in Cordoba, in Puertollano, Ciudad Real and Cuenca. The vehicles that will be operating on this line will be the ones of the Talgo series S-112, and their maintenance will be taking place in the Los Prados garage, in the capital, according to railway sources. 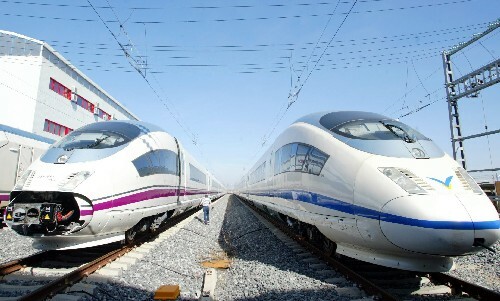 On the same day, Renfe will begin to operate a high-speed direct connection between Seville and Valencia. With this one, there are now four transverse AVE services, after the ones than connect Malaga and Seville with Barcelona. This route was possible thanks to the construction of the Torrejon de Velasco bypass, situated to the south of the Madrid region, and that provides the direct connection between the high-speed lines Madrid-Levante and Madrid-Andalusia without having to pass through the capital of Spain. This connection branch line has 5.7 kilometres and double tracks in each direction. Another option is to hire a car and drive from Malaga to Valencia, which one do you prefer? Our prices are very competitive, check them and choose your favourite vehicle.